In all their troubles, he was troubled, too. Out of his own love and pity he redeemed them. He rescued them and carried them along for a long, long time. Do you ever feel like giving up? You know those days when everything just seems too heavy? The times when nothing is going your way? Maybe you or a loved one just got a diagnosis of a dread disease. Or you’ve just pushed aside a pile of debts you don’t know how to pay to read the internet. Or maybe one more relationship has ended and your heart can hardly take it. Recently, I’ve spent time with a number of people who are struggling to figure out how they will make it. And most of the time I don’t really know what to say them. Not because you were bought up to be tough, not because you have kind friends, not because you’ve figured out how to hide your pain but because the one who hung the stars in the sky will carry you. I don’t know about you but that blew my mind. So God became my Savior. 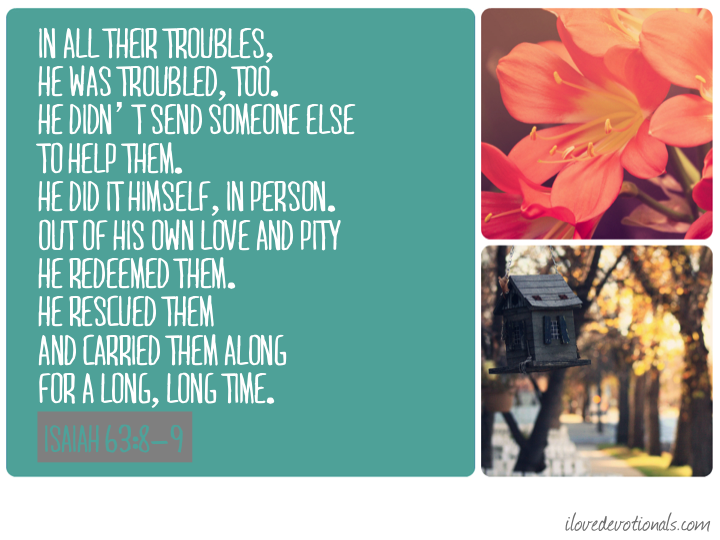 In all my troubles, he was troubled, too. He didn’t send someone else to help me. and pity he redeemed me. and carried me along for a long, long time. 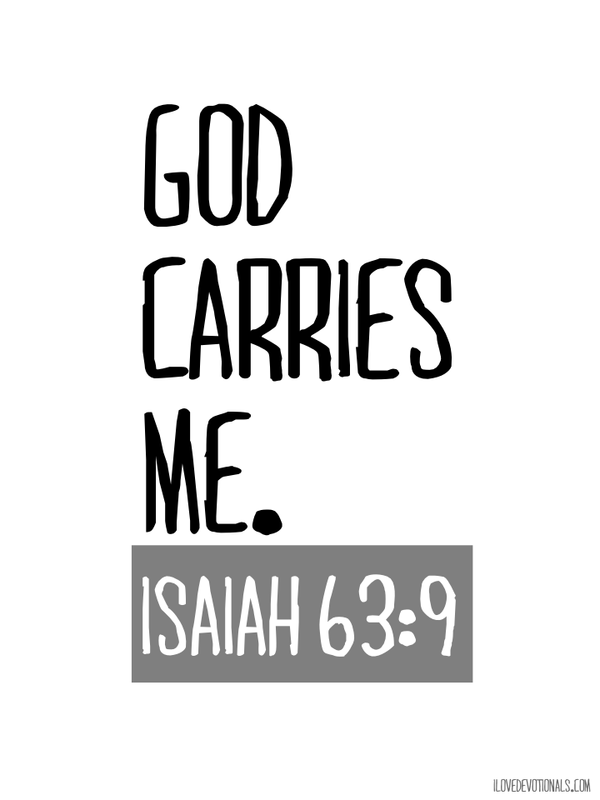 This verse reminds me that God cares about my troubles, he takes a personal interest in me, and he is strong enough to carry me and my burdens for as long as it takes. Ponder: What things are making you feel like you won’t make it at the moment? 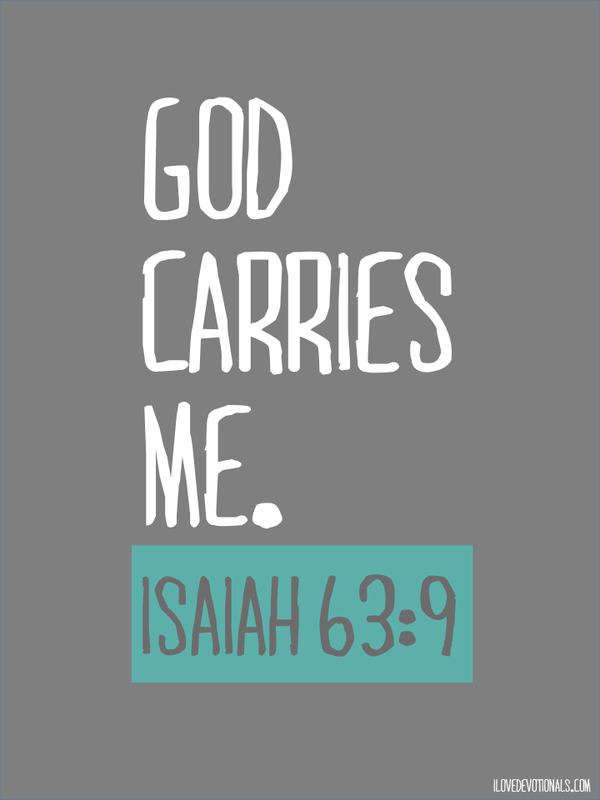 Do you think that God is strong enough to carry you and your burdens. Prayer: Jesus, I’m in trouble. And I need you to carry me, maybe for a long, long time. Help me to feel your arms around me and your presence. Amen. 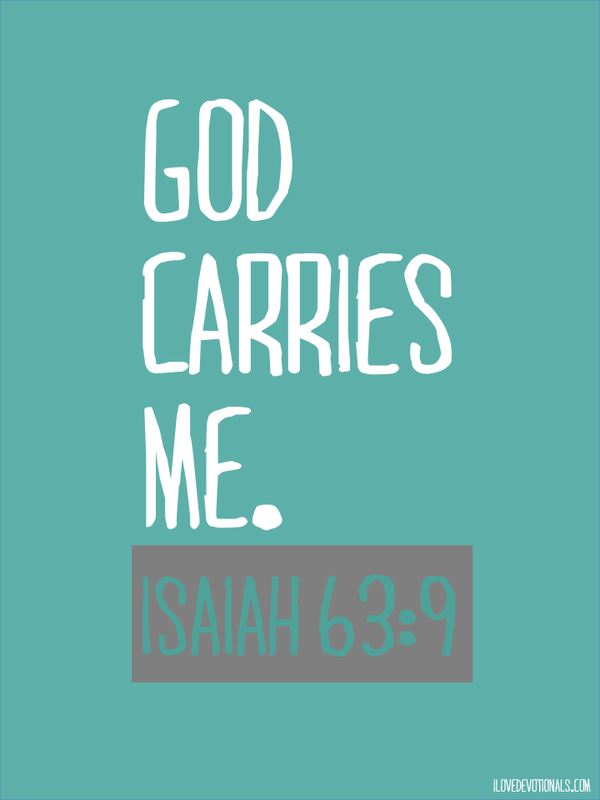 Print: I’ve made a three versions of this free printable for you to download and stick on your wall, mirror or desktop to remind you that God will carry you when you feel like you won't make it. Make sure to take a pic and tag me when you use them. Click here to download the printables below (all three in one document). 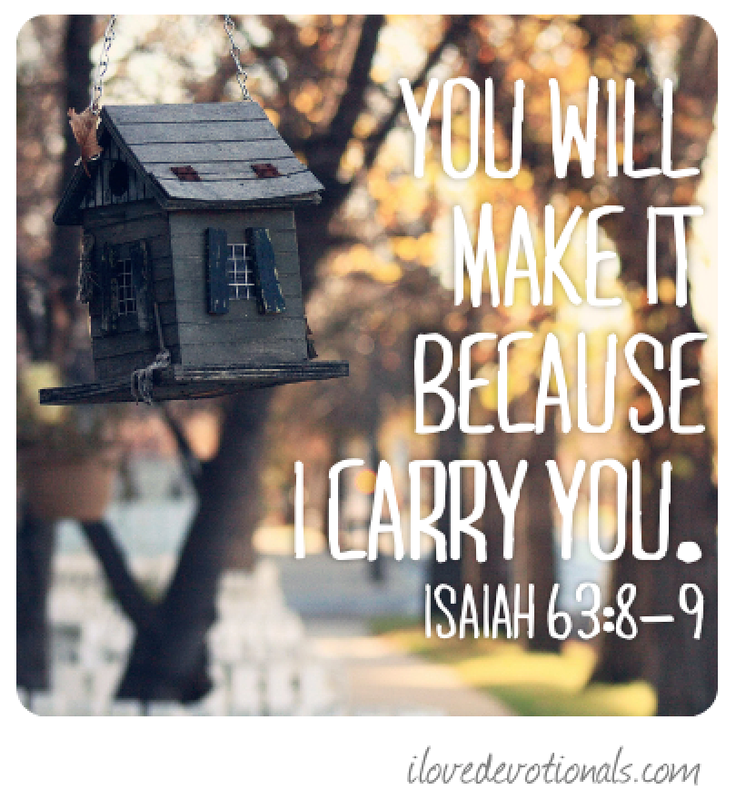 You can share this devotional and free printable on twitter by clicking here. I’d also love for you to connect with me on my Facebook, pinterest and twitter pages or if you're viewing this via email you can leave a comment by clicking here.